We’ll work with any schedule that is needed to accomplish your goals. Most times the minimum agreement is a month. Our successful clients find that a 3 month try or more gets the best results. Branding is gained through repetition. How do I create a commercial? 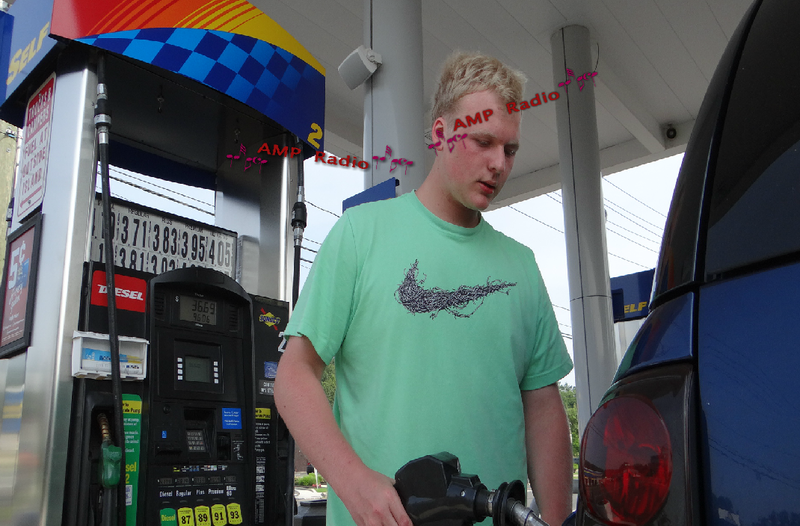 We have our own studio at AMP Radio to help you create your spot. Most of our customers work with their AMP Sales Representative to create a script and have one of our professional “voice over talent people” read your script. Then AMP will produce your commercial. If you have your own pre-produced MP3 we can work with that too. How long are the commercials? Typical commercials are 30, 20, or 15 second spots. How many times does my commercial play in a day? Multiple times per hour depending on the length of your commercial. •A standard contract guarantees you 60 seconds per hour for every hour the gas station is open. If you are running a 30 second commercial we guarantee it will play a minimum of 2 times per hour. If you are running a 20 second commercial we will guarantee it will play a minimum of 3 times per hour. Where are the gas stations and how many do you have? About 125 as of 11/15/13 and growing! Click here to see a map of our locations. How many hours a day are your gas stations open? most are 18 and some are 20 to 24 hours. Can I change my commercials during my contract? Yes, all commercials are managed real time via the internet. • Your local news paper? • Billboards or “out of doors” advertising? • We have affordable plans that will fit your budget!